In tandem with Analytics, we give additional data such as "Keywords Potential" and "Estimated Monthly Visitors" per keyword. Go to the Overview section of the domain in question. Click orange button labelled "Connect to Search Console". 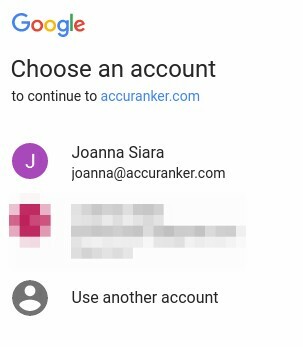 Important Note: When connecting the first Google account to AccuRanker. New users following this guide should do the same. Give the Google Search Console account a description and select the desired Google account from the dropdown menu. Then click "select account" orange button. 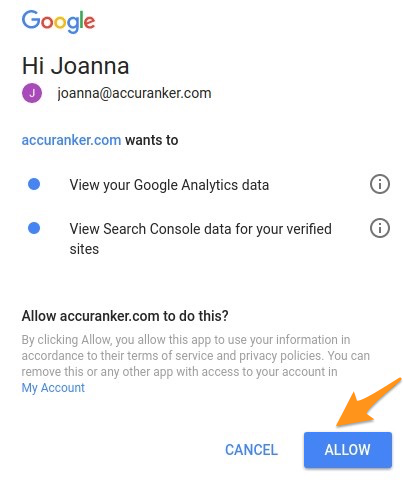 Write a description for your Google account and click the button: "Add connection"
If not signed into your Google Account, you will be prompted to do so. Click the button labeled "Allow". Select the domain that you want and click the button labeled "Select". Congratulations! Google Search Console is now integrated. If possible, import all the keywords. Doing so is highly recommended, as this will make for the most accurate representation of your online presence. When importing selectively, sort by clicks to see your keywords in order of importance and import the keywords that are providing the URL with traffic. 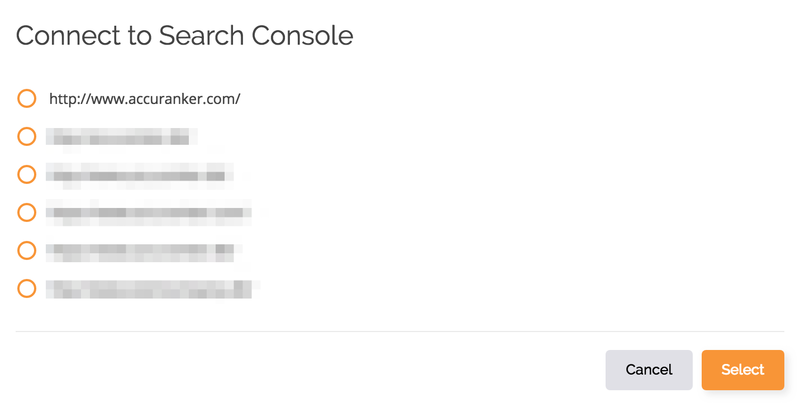 When connected both Google Analytics and Google Search Console, you can enable the Potential and Est. Visitors column in the Table Settings, as illustrated in the screenshot below.